IT infrastructure libraries have a lot to offer, but need to be tailored to each organization's unique business needs. 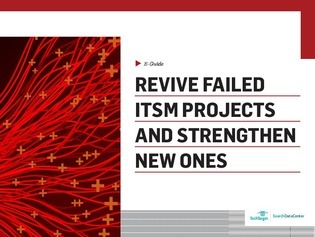 Due to many organizations being overeager, a lot of ITIL projects fail--so how do they recover? Access now and you will also see 5 common bimodal IT myths busted.